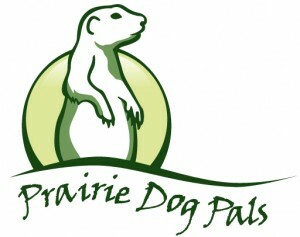 Many areas where prairie dogs live need habitat improvement as the natural vegetation has been disturbed or destroyed. Prairie dogs need grasses and weeds to eat. Cactus is a drought source of food and moisture for them. Where areas have been made barren due to plowing and bulldozing, cactus from other areas can be transplanted. It is one of the few plants that will survive transplanting without water. FYI, It is illegal to take cacti from wild areas. Regenerating native grasses and vegetation takes years, especially with little rainfall and no supplemental water supply. Once an area is disturbed or over populated it is very difficult to restore the grasses because the prairie dogs will eat any new growth. 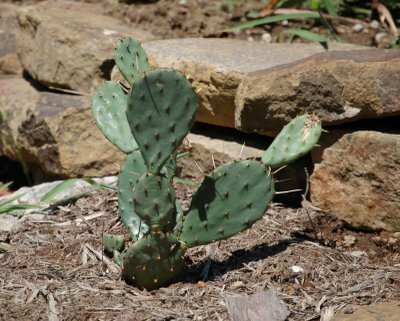 Prickly pear and broadleaf can be planted by placing them in shallow troughs. The supplies you will need are tongs, clippers, gloves and containers to hold the pads – plastic bags are not advisable because the needles can poke through the plastic. A hedge clipper is the best tool for cutting the pads and tongs are best for picking them up. The cacti can be cut into medium sized sections of 3 to 6 pads. There is no need to dig up the roots. The needles come off easily, even in a strong wind, so take care in handling the pads. They can be kept in a shady area for a day until ready for transplanting. Transplant 3 to 6 pads so that the cut edge of at least one pad can be buried in a shallow trough. Cacti are hardy – a pad can fall off a plant and laying flat on the ground will put out roots and start a new plant. 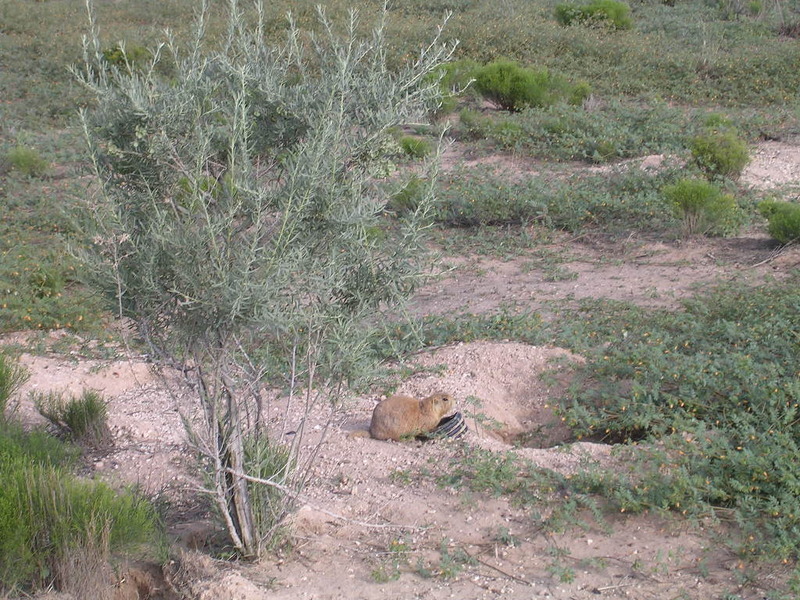 The prairie dogs may eat the cactus you are planting if they do not have enough food. Try to provide enough food, carrots, greens, alfalfa pellets, fresh cut grass clippings, etc. so that they will not eat the cacti. Do not plant lawn grasses near by as they will be drawn to it. If an area already has lawn grasses you can let it grow naturally, reduce the watering and add decorative rocks, forbs, native grasses and pines and you will have a xeriscape compatible with prairie dogs. Pine trees can be planted because the prairie dogs will not normally eat them unless they have no other food. Habitat improvement is a hard but satisfying work. It should be done in areas where the prairie dogs will be allowed to stay. In Albuquerque we currently have several areas on parkland where prairie dogs can live in their family groups with the support and assistance of caring people. See this article to find out about native prairie forbs and this one about native grasses which you can use for landscaping!